Note: if you're looking for the older editor v1 documentation, please check HERE. Use the Actions menu to set the current language, preview, publish and open your published image, or copy image data from another image. Data language Set your current data language. Multi-language input is fully supported by Micrio. Preview Use this option to preview any unpublished changes you've made to the image. Publish Use this option to publish the current image data to the public. When this is done, all your latest changes and additions to the image data are visible to everyone. Public link Once published, this link will be the public URL for this image. Duplicate data If you want to copy all data from an existing image (for instance when you've uploaded an updated image), use this option to select the image to copy the already existing data from. 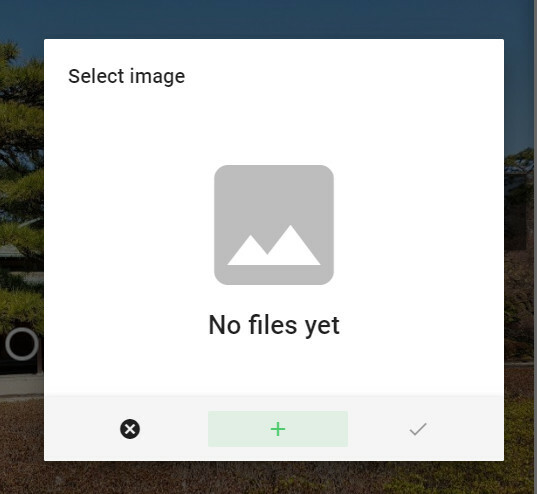 Use the settings menu to set the image title, description and options. Here, you can set the image title and description. The title is language independent, the description is for each language. 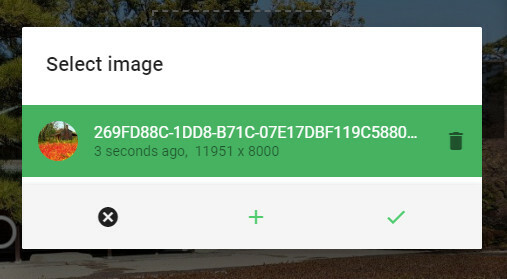 These will both be used for when you use the https://micr.io/ image viewer to share your image. Set Start View When this option is selected, you will see a resizable rectangle overlay over the image. You can set these to the exact view that the image will always be opened on. Viewer background color When clicked, you can select the default background color of your image. Enable navigation If disabled, all user image events (swipe, pinch, zoom) will be disabled. Tours and markers will still work. Fullscreen button Show a fullscreen toggle button in the bottom right corner of the image. Show the loader bar When enabled, show a loader bar at the top of the image when the image is being loaded. Show social sharing buttons If enabled, show social sharing buttons on the micr.io-viewer. Maximum zoom level The factor (1=100%) that users will be able to zoom in maximally. For instance, if set to 2, the user will be able to zoom in to 200% of the original image resolution. Background fade out volume When audio is being muted when marker or tour audio (ie a voice over) plays, fade all background audio (positional and music) to this volume. If you are working with a 360° image, there are special settings that only apply to these. Image is 360° Use this toggler to turn 360° mode on or off. Note: this will only be visible in the preview or final image. Allow WebVR If enabled, a VR button will be shown on devices that support it. When activated, users will be able to use their VR set to look around in your 360° images. For more information, see https://webvr.info/. Auto rotate When the image is first loaded, do a slow automatic camera rotation until the user has their first interaction. Good for demo mode. 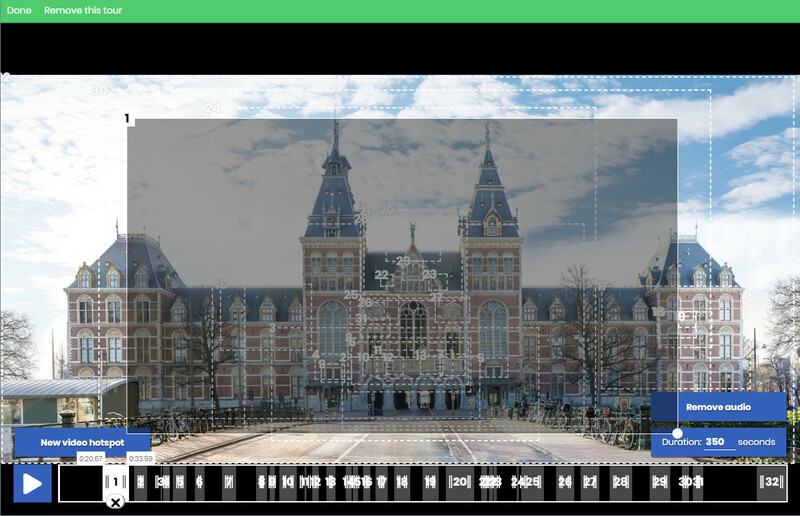 Fill 360 screen For 360° images that are haven't got an exact 2:1 ratio, stretch out the images vertically to fill the entire vertical 3d space. Otherwise, black bars will be shown on the top and bottom of the 360° sphere. For advanced usage, and for use with custom client embedded integrations, you can enrich your image metadata with custom JSON. 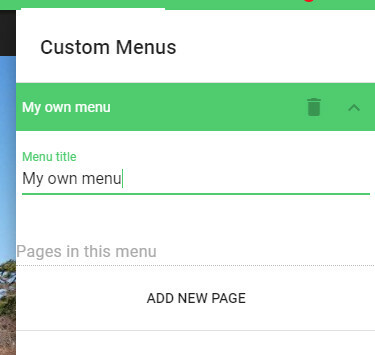 If you click the Custom menu, this will show a custom JSON editor. Please refer to its documentation for how to use this. In the main marker side bar, you can set general marker options for this image. Marker icon Select a default marker icon to be used for all new markers created in this image. Marker color Select a default marker color to be used for all default markers created in this image. Marker size Select a default marker size to be used for all new default markers created in this image. Static popups All markers will have a statically positioned popup, instead of being relative to the marker position in the image. Static mobile popups As above, but only for mobile devices. Cluster markers If enabled, if markers overlap eachother when the user is zoomed out, they will be combined to a single cluster marker, which, when clicked, will zoom the camera to the bounding areas of the containing markers, allowing the user to then choose which marker to open. Title Edit the marker title. Body text Edit the main marker body text. You can use the markdown language for custom styling and inserting links. Audio Add an audio file to this marker. Opens an asset picker where you can upload or select an audio file. Images within main image Select images to be embedded inside the image when this marker is opened. This can be a partial image overlay for instance. When the marker is closed, the image is also hidden. Use default styling If enabled, this marker will have the default circle shape, size and color. Video embeds To add a video (YouTube, Vimeo, ...) IFRAME element to this marker, set the direct frame URL here. You can add an optional description for this frame below. To set individual advanced marker settings, click the SETTINGS tab at the top of the marker editor side bar. WARNING: use these at your own risk! Some of these options might show unexpected behavior when used together. Icon Select a custom icon for this marker using the asset manager. Marker is micrio link To navigate to another image using a crossfade when this marker is opened, select this option to choose which image to navigate to. Always open This marker and its popup will always be opened and uncloseable. Camera jump The camera will make a zooming arc when navigating to this marker. Keep embedded images open Once the marker has been opened and it has in-image image embeds, these will not be removed once the marker has been closed. Force audio fade-out Opening this marker forces any background audio to fade out. No full-window image When an in-marker popup image is clicked, there will be no zoomed view overlay of the image. Scale marker The marker size will be relative to the image-- ie it will scale when zooming in and out. Show title Show the marker title under the marker itself. Static popup This marker will have a statically placed popup not connected to the marker itself. Good for smaller screens. For JSON marker data to use with custom client implementations, use the CUSTOM tab to edit or create your own JSON data. To set individual advanced marker settings, click the SETTINGS tab at the top of the marker editor side bar. See JSON editor for instructions on how to use it. To create a marker tour, select Markers, Tours, and then click the + icon in the bottom menu. In the sidebar, you can specify additional (advanced) marker tour options. Title Set the marker tour title, as it will be displayed in the top menu of the image viewer. Description Set the marker tour description. Scrolling tour Set this marker tour to be a scrolling tour. 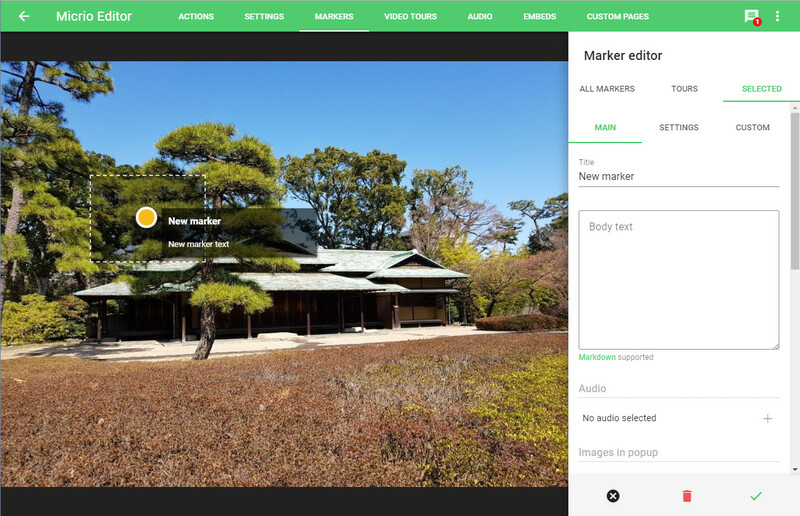 All marker content will be a single scrollable page, and the camera will fly to the view of the marker content you are currently reading. EXAMPLE. Autostart Start this tour automatically when the image is first opened. Can't exit this tour The user cannot close this tour. Remove this tour Delete this tour by clicking on the icon. 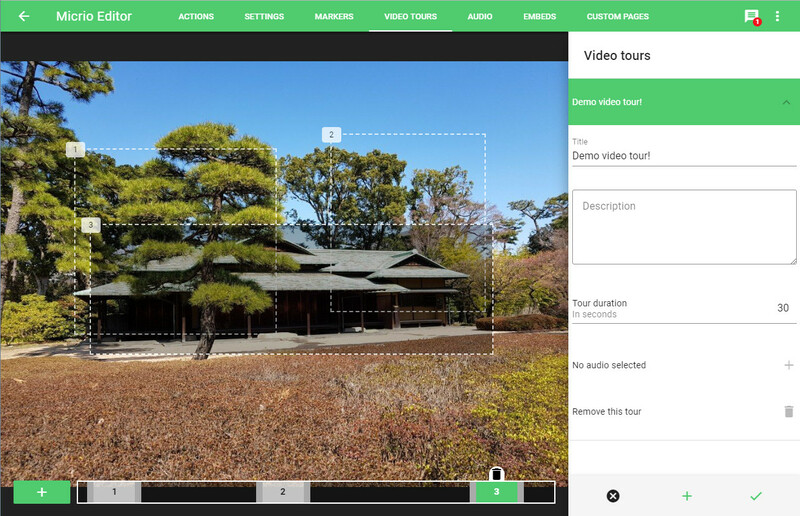 To create a new video tour, click on + icon at the bottom of the Video Tours menu. Then you can start creating! You can do this using the Tour duration input field in the editor side bar. To create a hotspot, click on the green + button in the bottom left of your screen. This will create a new view rectangle in your image, which you can then freely place and resize. During the creation process, you can freely zoom and navigate through the image, allowing you to precisely set the viewport to your needs. To remove the current tour from this image, click the delete icon in the side bar. 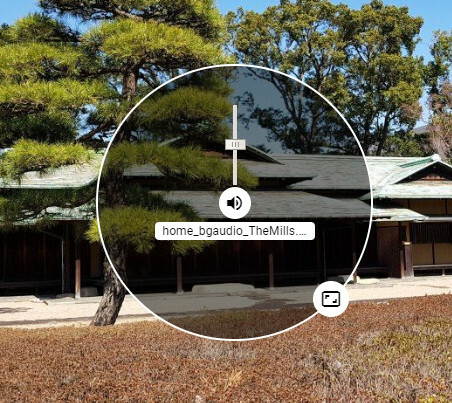 You can upload selected music tracks for your image, which will be played on the background, and muted when other audio (of a video tour or marker-- usually voice-overs) will be playing. To add a background music track to your image, click the Music tab under the Audio sidebar, after which you will be able to upload and select music files in the Asset Manager. When there is already music selected in your image, click the delete icon next to it to remove it from the playlist. Positional Audio allows you to place separate audio samples on specific locations in your image. This results to the user hearing them (in full stereo) when they navigate through those locations in your image. To activate the editor positional audio mode, open the Positional Audio option in the Audio side bar. To add your own positional audio sample, press the + button on the bottom right of the screen. Then the Asset Manager is opened where you can upload new or select existing audio samples. 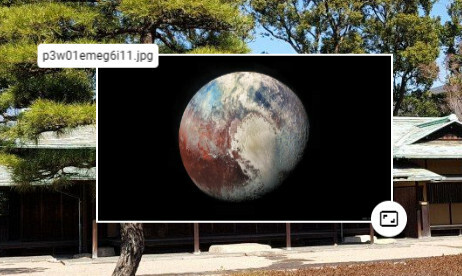 Using Micrio embeds, you can place other Micrio images inside the current image, allowing the user to zoom in to that specific sub-image even further. In the Micrio image viewer, embedded images will retain their own published markers, audio and tours. So if you embed an enriched sub-image, all its markers and tours will be available to the user! Once you have selected an image embed, simply drag and resize it to the portion of the image it should be placed at. To remove an image embed, select the correct image in the sidebar, and click the delete icon next to it. 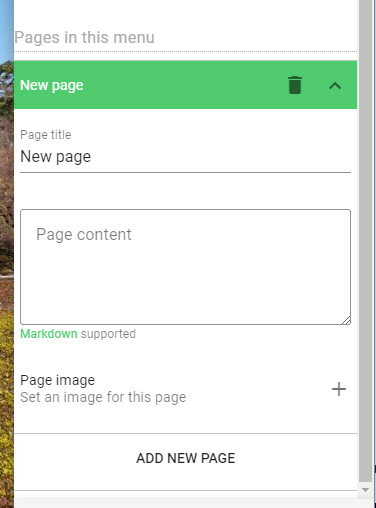 Best for stand alone applications, the Custom Pages section allows you to add basic content screens as a drop-down menu in the image viewer. To remove this many and all its underlying pages, click the delete icon next to it. You can write a basic page with custom bold, italic, titles and lists using the markdown language. To add your own custom header image to this page, click the Page Image button. This will open the asset manager where you can upload and select an image. To select an existing asset, simply click on the asset you would like to use, and press the OK button.